Trick-or-treaters will soon be at your door with their ghostly greetings and spooktacular screams! 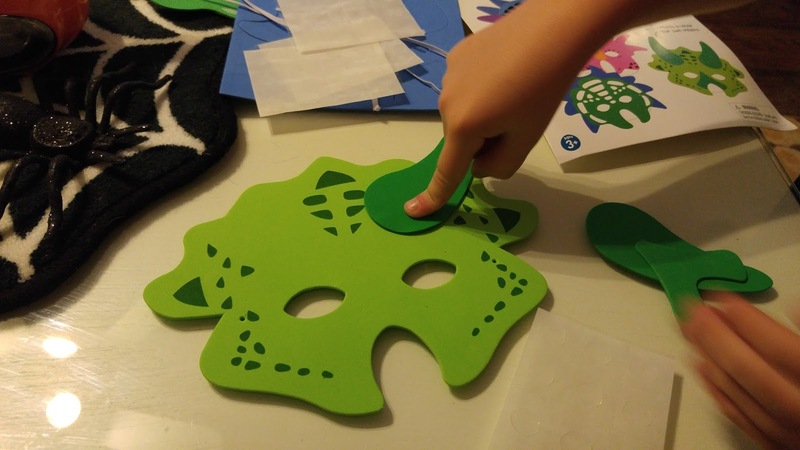 To help your little ones get into character for the season and to have fun in the process, why not pick up a pack or two fun DIY Mask Kits from Yoobi. 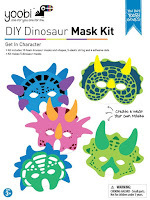 Yoobi offers the following fun kits: Animal, Pirate, Dinosaur and Safari Animal mask kits. Each pack makes 5 masks and includes all the parts you need! Make “arrrr”rt time fun as they add their own flair to their Halloween disguises! A game of dress up is never complete without the finishing touch of a dinosaur mask! 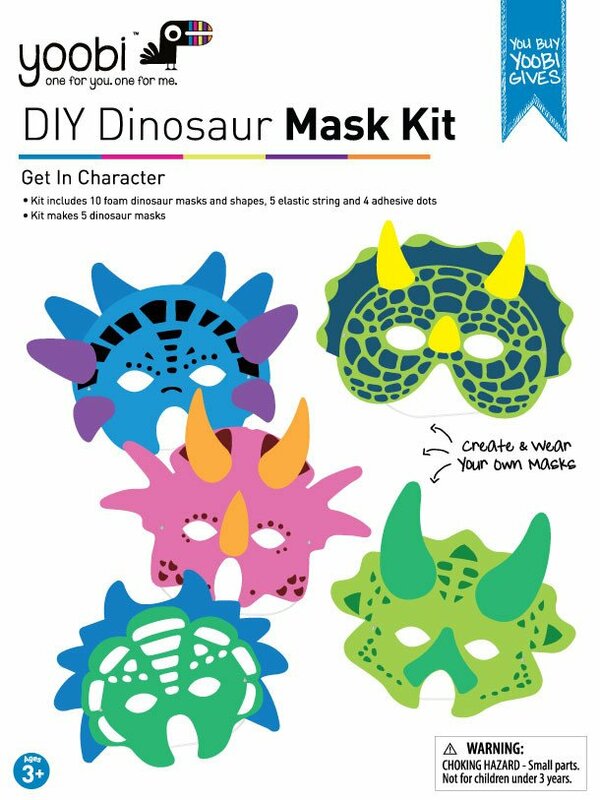 You'll feel like you stepped back in time with these awesome DIY dinosaur masks! 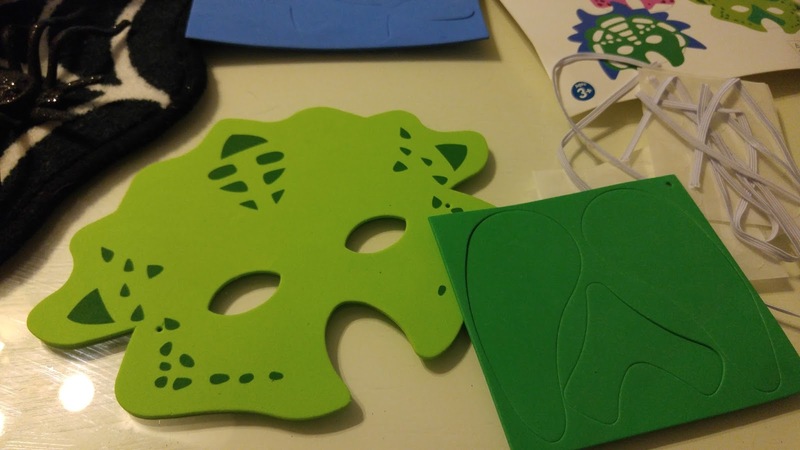 These kits come with everything you need to create fun and not so scary masks! Little hands can do it themselves or with little assistance from an adult! The pieces all stick easily with adhesive glue dots. Once the mask is complete, just tie on the elastic string and in a matter minutes you have a terrific mask! Yoobi is based on a bright yet simple idea: colorful, vibrant supplies for school, home or office that give to classrooms in need. For every Yoobi item purchased, Yoobi contributes a Yoobi item to a classroom in need, right here in the U.S.! Many kids in the U.S. don’t have access to basic school supplies, unless teachers’ pay for them out of their own pocket. Through Yoobi’s partnership with the Kids In Need Foundation they distribute Yoobi Classroom Packs all across the U.S. to the kids that need them the most. These awesome colorful products are sold exclusively at Target and are also available at Yoobi.com.